The Hickory Wing Ski Touring Club is a small ski club which maintains approximately 60 km of trails on Tabor Mountain. 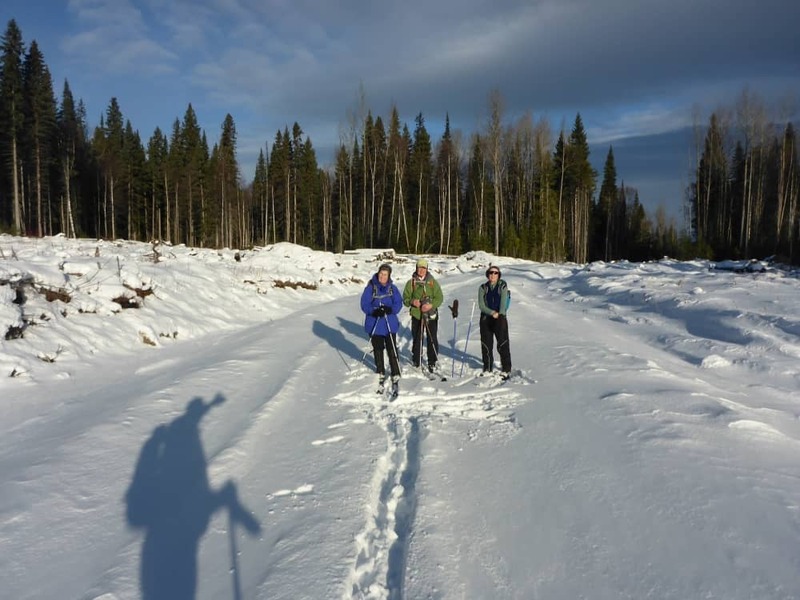 Our main trailhead is located along Highway 16, five kilometers East of Tabor Mountain Resort in a parking area on the South side of the highway where there is an old BC Rail Boxcar. We also access our trails from Groveburn Road which runs along the East side of Tabor Lake. This road is maintained only to the Groveburn gravel pit during the Winter months. In the Summer months, the road is driveable to the communication towers at the top of the mountain. In the Winter months, our group leads twice-weekly ski outings, usually Sunday and Wednesday. In the Summer months, we have regular outings to perform trail maintenance. During the Winter we also sponsor the Annual Birchleg Ski Event which is a re-creation of a historic event which occurred in Norway in the year 1206 at which time a group of skiers (with their legs wrapped in birchbark) saved the young Norwegian Prince from invaders. This is an event for the whole family and is usually enjoyed by 100 participants. We have trail maps and names installed at all major intersections so it is easy to find a suitable trail for skiing, hiking, or snow-shoeing. Our trails are closed to motorized traffic in the Winter months though you may encounter an ATV in the Summer. If you want more information regarding these trails or if you wish to be included in our contact list for ski outings or to help with trail maintenance please contact one of the executives.